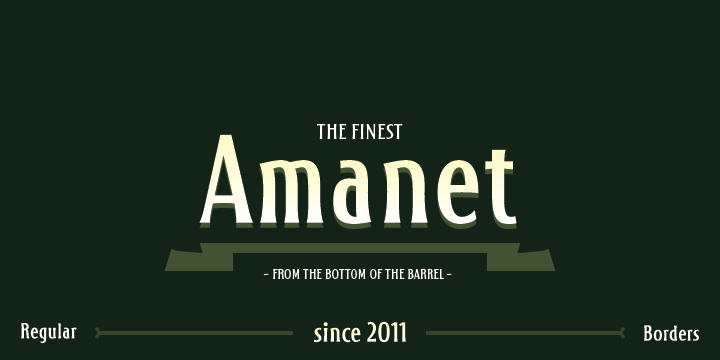 Amanet is original old fashion typeface that comes as Regular weight followed with stylistic compatibile Borders. It’s pretty readable in small sizes which recommends it for use on packages, labels or specific corporate identities. “Amanet” is an archaic Serbian word for English word “legacy”.